with homemade deliciously Good Alfredo Sauce and it's all under 30 mins! 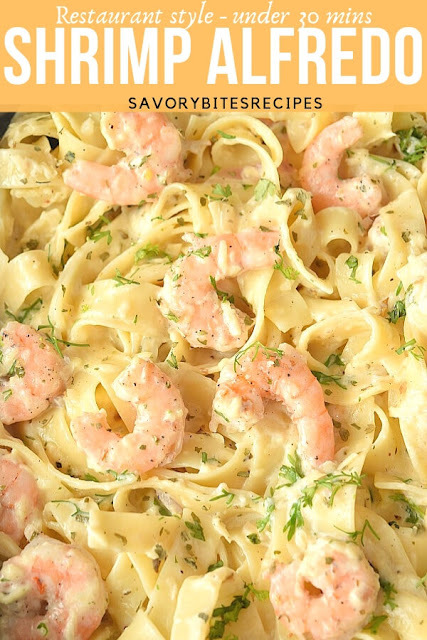 If you love having fancy meals like me and that too totally within budget then this recipe of Shrimp Fettuccine Alfredo is very creamy ,delicious ,just like from restaurant(may be just like from Olive Garden) will sort your cravings. Superbly creamy,cheesy, homemade Alfredo Sauce is what you need to make this amazing recipe at home. The sauce is so easy to put together and you will save so much on outside food. I have shared another version of Fettuccine Alfredo(similar to Olive Garden ) and that is getting a lot of positive response from people. I am sharing one of the many Fettuccine Alfredo Pinterest pin's that you can check Fettuccine Alfredo Pin. What does Alfredo Sauce contains? 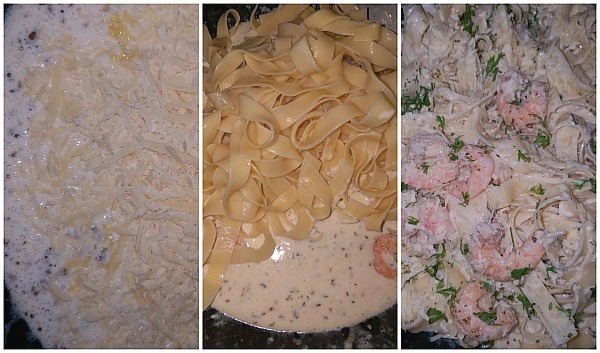 The Alfredo Sauce that I have used in this recipe is homemade and very easy to put together. 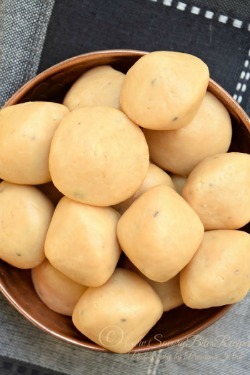 Sauce is very creamy,cheesy and delicious in taste and texture,you are going to love this. What pasta to use in Alfredo Recipe? You can go ahead and use your choice of pasta for this recipe. Spaghetti / Fettuccine / Farfalle / Linguine / Fusilli or any other of your choice. One thing to keep in mind is that since the sauce is creamy and heavy/thick , the pasta that should hold the sauce and should be also thick and firm. 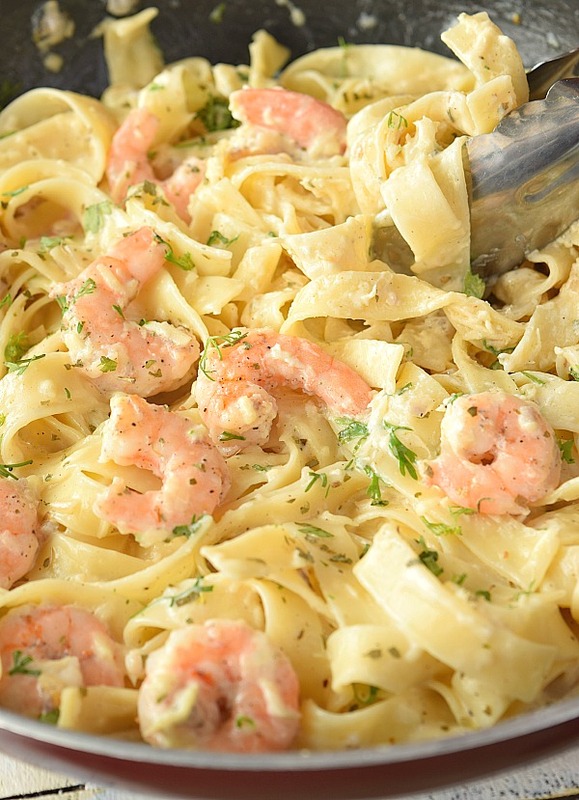 What sides to serve with Shrimp Alfredo? 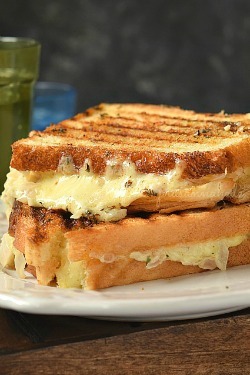 You can serve toasted Garlic Cheese Bread or Buttered Toast with Alfredo. Also, you can serve vegetables steamed or stir-fried in salt and pepper powder, Broccoli, Cauliflower, Beans, Asparagus, Snap Peas. What proteins / meat can be added in Alfredo recipe? 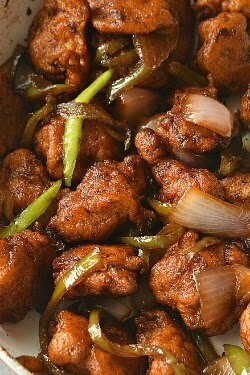 You can use from Chicken / Shrimp / Beef / Pork to whatever seafood you like in this recipe. 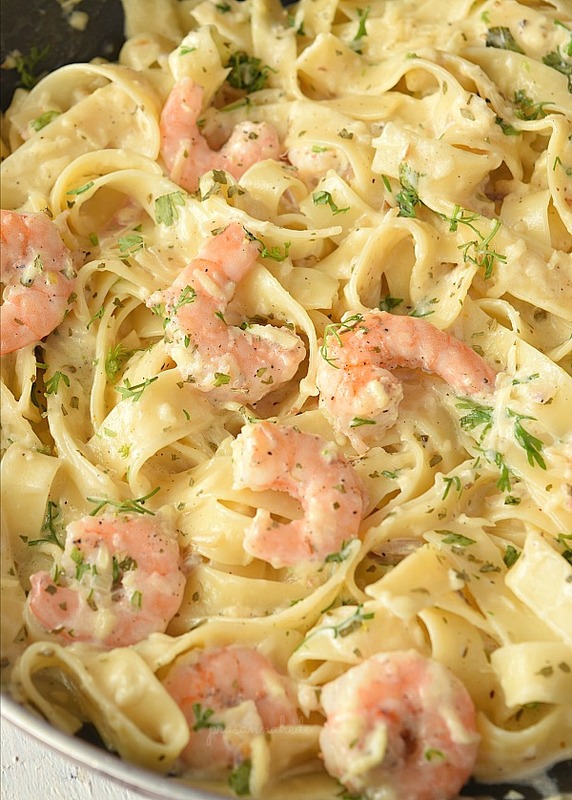 Shrimp: Use fresh Shrimp to get the best taste and flavor in this Alfredo recipe. 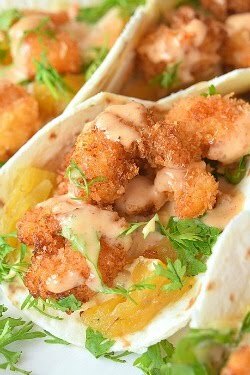 Medium or Small Shrimp is the better choice to use in the recipe. Fettuccine: The pasta used in this recipe is as per individual choice. Use slightly firm and thick pasta to hold the sauce and shrimp well together. Parmesan: The most important ingredient that gets the best flavor out of this recipe is the use of Parmesan. You can do a combination of Parmesan with Mozzarella, but Mozzarella tends to form lumps when heated so watch out if you are using Mozzarella. 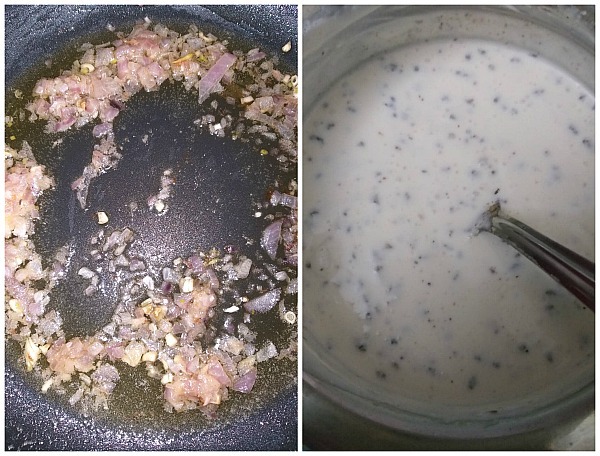 Alfredo Sauce Mix: Alfredo sauce used in this recipe is homemade and is very easy to put together. I have used cream cheese,milk,cream,spices,Parmesan. Spices: To get some extra flavor for this recipe I have used Black Pepper Powder, Paprika, Parsley. 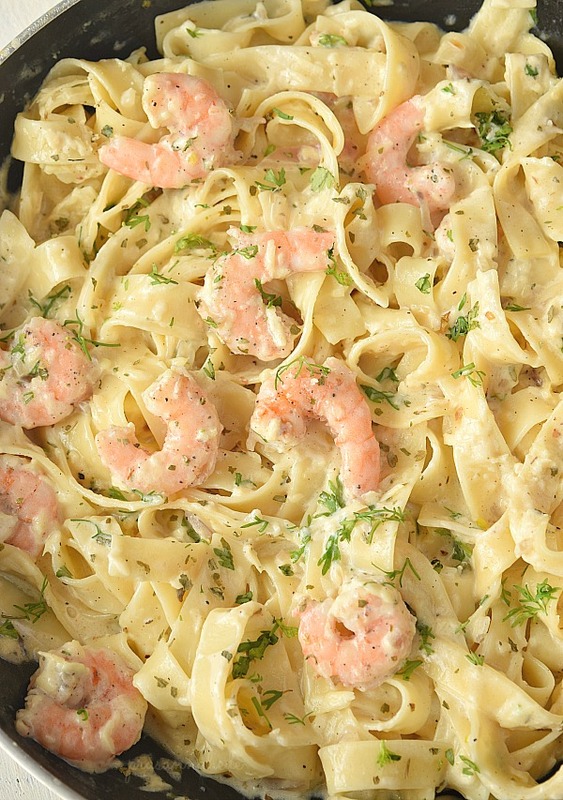 How to make / Steps to make the perfect Shrimp Fettuccine Alfredo? Firstly cook the pasta as per package instructions till done. Toss it with little oil and keep aside. 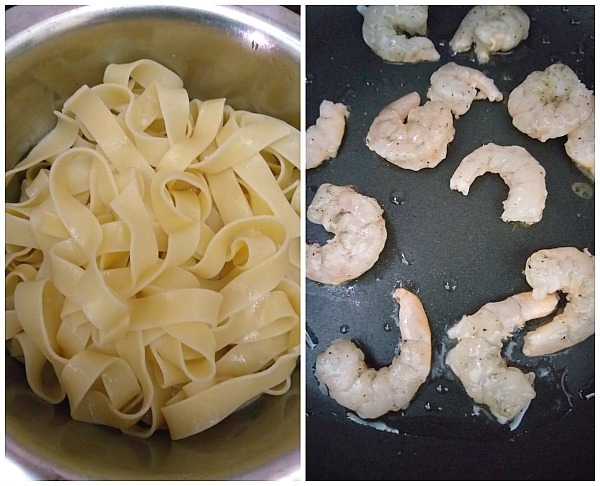 In a pan add olive oil and spread the shrimp in single layer and cook till the shrimp are pink. Do not overcook the shrimp or they will turn rubbery. In the pan add butter and fry the garlic and onion till fragrant. Do not cook on high heat or the garlic will burn and the final dish will turn bitter. In a mixing bowl,add cream cheese,parsley,black pepper powder,smoked paprika / cayenne pepper,milk(if you are using milk instead of chicken stock). Mix well and keep this aside. If you are using Chicken stock instead of milk then do not add the stock to the sauce mix. Add the stock to the fried onion and garlic in the pan and let it cook till it slightly reduces. Then add the sauce mix to the pan,mix well. Reduce the heat to lowest flame and add 3/4th of the grated Parmesan to the sauce mix. On lowest flame throughout, mix the sauce till cheese is mixed well and no lumps are formed. Next add the pasta,shrimp and toss well to mix everything. Finally add the remaining Parmesan and fresh chopped Parsley. 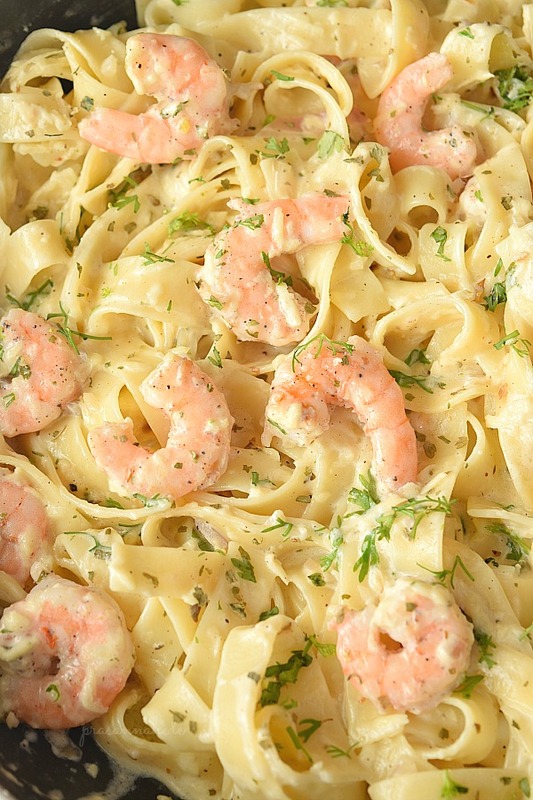 Superbly CREAMY,DELICIOUS,EASY and amazingly Flavorful restaurant-style,copycat Olive Garden recipe of Fettuccine Alfredo with Shrimp(it's Shrimp Fettuccine). Its Shrimp Alfredo with creamy,cheesy homemade Alfredo Sauce- with lots of Parmesan,Cream and spices to make this dish so easy to put together that you can fix your dinner/lunch in under 30 mins! Cook pasta as per package instructions,then toss it with little oil and keep aside. 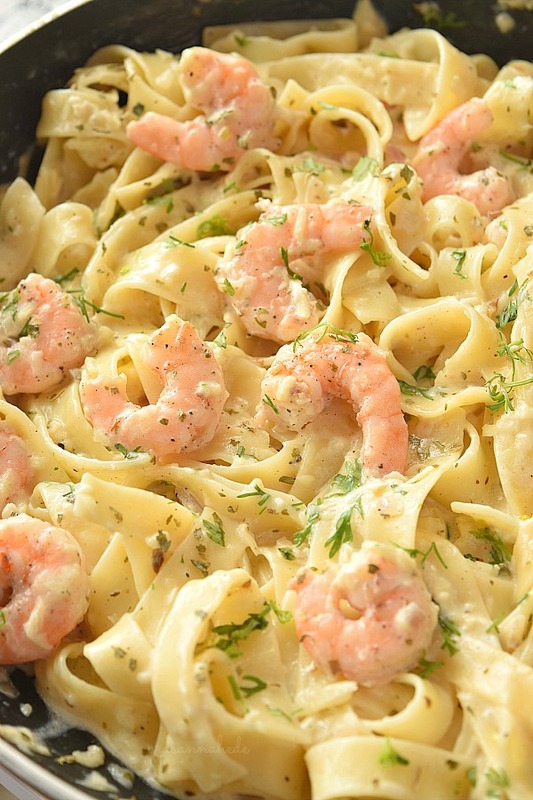 In a pan,add 1 Tbsp Olive oil and spread the Shrimp marinated with little sat in a single layer. Cook them till they turn pink. This should take little over 1 minute. Do not overcook them or they will turn rubbery. In a mixing bowl add the ingredients for the sauce mix,except leave 1/4 Cup Parmesan to add later. In the same pan add 2 Tbsp butter and once it melts add garlic and onion. Cook on low flame till its fragrant. If you are using chicken stock then add the stock now and let it boil till it reduces for some time. Next add the sauce mix. If you are using milk at room temperature, then in a mixing bowl,add the ingredients for sauce mix and then add milk to it. Mix well and then add this sauce mix to the pan. From now cook on low flame throughout,make sure the cheese is melted and no lumps are formed. Add the pasta,shrimp,fresh parsley,grated Parmesan.